The rapid rise of the coffee industry is SE Asia has been a huge boon to all fans of the glorious coffee bean. Along with some wonderfully rich coffees have emerged some unique and flavorful coffee drinks, too. 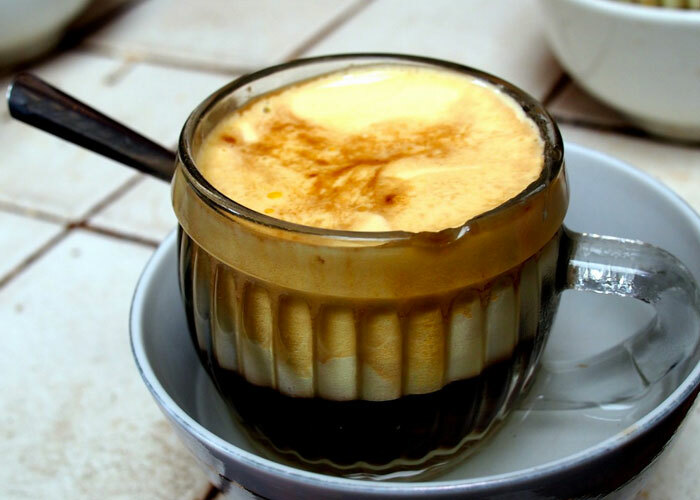 Here are a few of our favorite Southeast Asia specialty coffee drinks that you have to try. You’ve probably had coffee with your eggs before, just not all in the same cup – but that’s all about to change. Vietnamese egg coffee is more a desert than a beverage, and one you’re sure to love. Recipe – whisk one egg yolk with two teaspoons of sweetened condensed milk until frothy. Whisk in a tablespoon of brewed Vietnamese coffee. Pour the mixture on top of the rest of your brewed cup of Vietnamese coffee and enjoy. For a more traditional Vietnamese coffee beverage, try this recipe for Vietnamese Iced coffee. Add two tablespoons of sweetened condensed milk to your glass. Put two tablespoons of medium coarse grind coffee, dampened with hot water, in the base of your coffee press. Close up the press tight over your glass and pour boiled water into the coffee press. Cover and let it drip brew. When it’s done, stir, pour over a glass of ice and serve. Laotian coffee blends with almost anything and is a great treat or snack on the go. A coffee smoothie is a great way to turn a coffee into a nutritious breakfast. You can create your Laotian coffee smoothie with whatever you want, but here’s one recipe. Throw your milk, half a banana, some almond butter, some vanilla extract, your Laotian coffee and ice into a blender, blend until smooth and drink! Here’s a way to make Thai Iced Coffee that has a truly authentic taste. Recipe – Take an oliang coffee blend, typically half coffee, one quarter corn, 20 percent soya bean and five percent sesame seed, and brew it through a coffee sock. Put the oliang in the sock and poor boiling water through it into a carafe. Steep for ten minutes, then stir in sugar, let cool and add sweet condensed milk. A classic way to enjoy Thai coffee that’s a little sweeter than Thai Iced Coffee. Recipe: Add one tablespoon of condensed milk to an eight-ounce glass. Pour in two shots of brewed Thai coffee or espresso and stir. Add ice and serve! Malaysia is famous for a distinct coffee known as Ipoh White Coffee. Here’s a great way to enjoy it blended. Recipe – Blend one sachet of Ipoh white coffee with ¾ cups of full cream milk, one cup of ice and a tablespoon of sugar. Blend until just after you see the ice cubes starting to move around. Pour into glass, add whipped cream and chocolate syrup and yum! A classic Indonesian coffee blend, Kopi Tobruk, sometimes known as “mud coffee,” has a true SE Asian flavor. 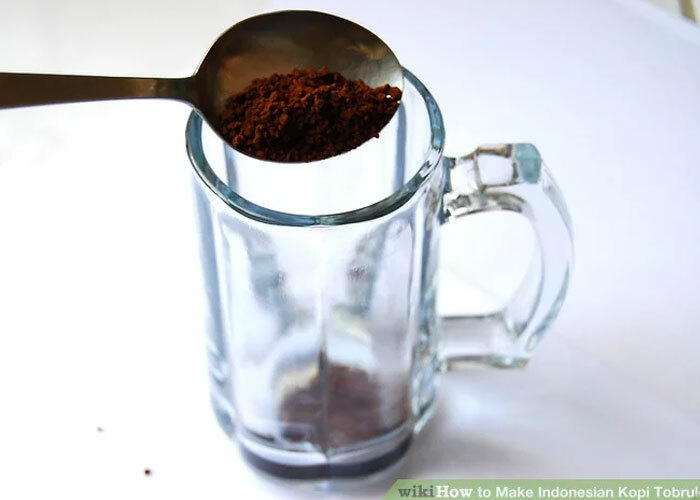 Recipe – Put one tablespoon of Kopi Tobruk coffee into a mug, add sugar, and pour boiling water over it (not rolling boil, pour as soon as the water starts to boil). Stir and let sit for five minutes. The coffee ground “mud” will sink to the bottom, which adds to the flavor. Crème brulee coffee is quite popular in the Philippines, so if you have some Philippines coffee handy, you might want to try this recipe: Take a tablespoon of caramel sauce and a tablespoon of French Vanilla syrup and steam together in a cup of half and half. Add two shots of espresso and garnish with whipped cream, caramel sauce and raw sugar. Sulawesi Toraja coffee is considered one of the jewels of Indonesia. Drink this creamy coffee with foods like fruit-infused dark chocolate or apple pie. If you prefer something more savory with your coffee, try it with a curry. The recipe for this unique SE Asian coffee drink is as follows: Add the inside of an avocado to a blender along with two cups of ice cubes, one cup of strong-brewed Indonesian coffee, a half cup of sweetened condensed milk and two tablespoons of vanilla. Blend until smooth, drizzle chocolate syrup along the sides of your glass, pour the mix into your glass and top with chocolate syrup.